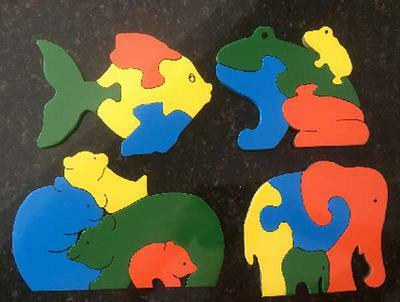 Mark Joines, who also designed and made the Kermee toddler walker sent me this photo of the jigsaw puzzles he made. Copy and paste the link above. Return to Wooden Puzzle Plans.